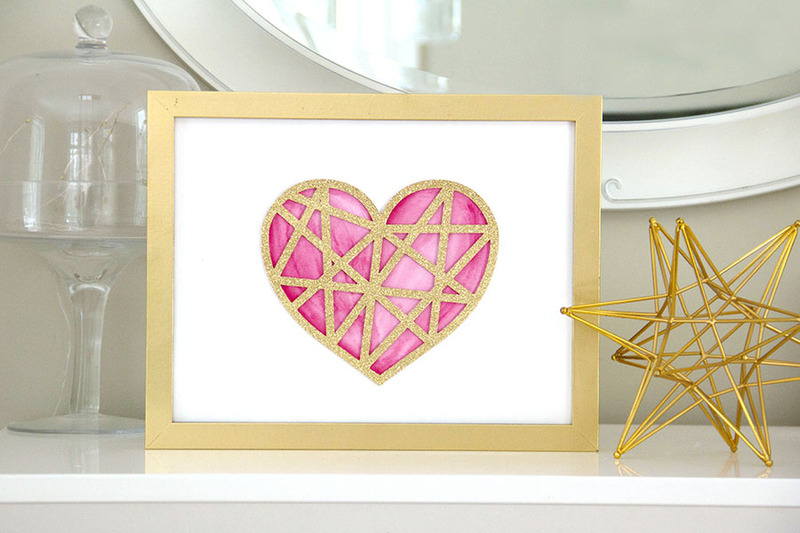 We love this popular trend of hearts created from geometric shapes. You see it in home decor, crafts, stationery and more. 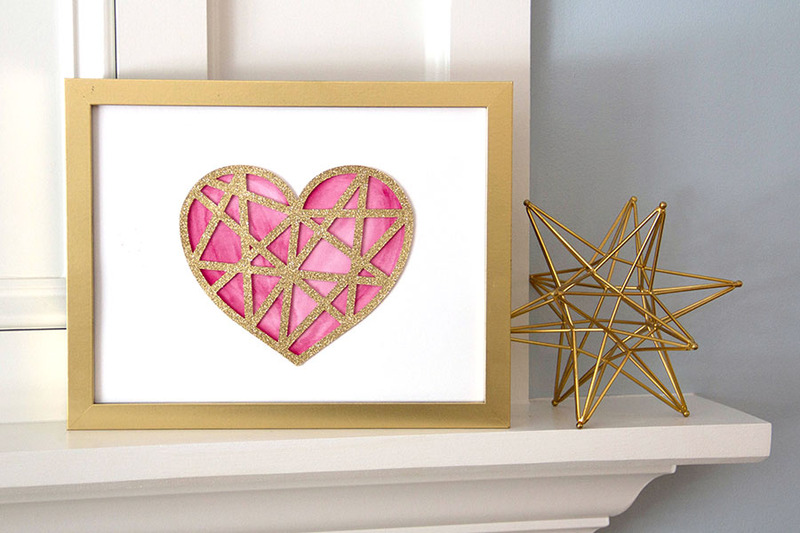 Inspired by this trend we created this geometric heart art piece using some of our newest products; foam tape and glitter card stock. 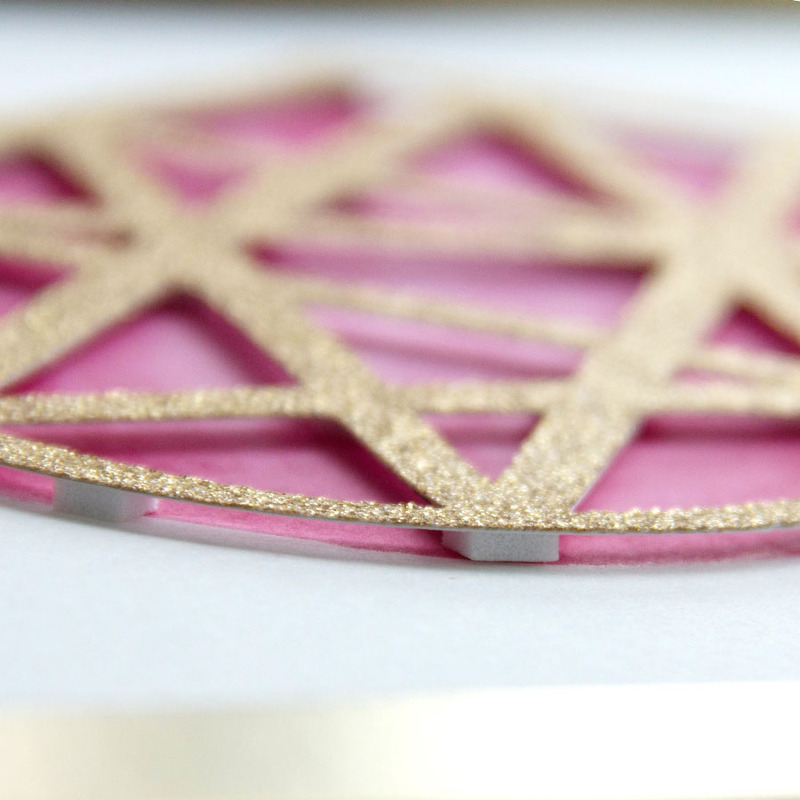 We introduced colored glitter card stock a few weeks ago. If you missed it, check out that post here. 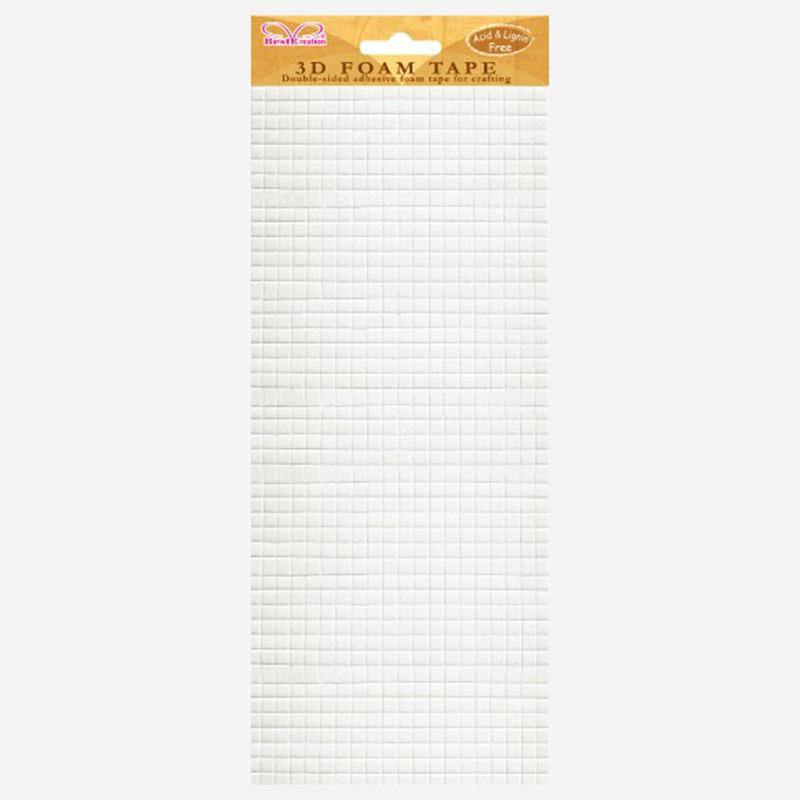 We’ve added foam adhesive squares to our online store in two sizes! 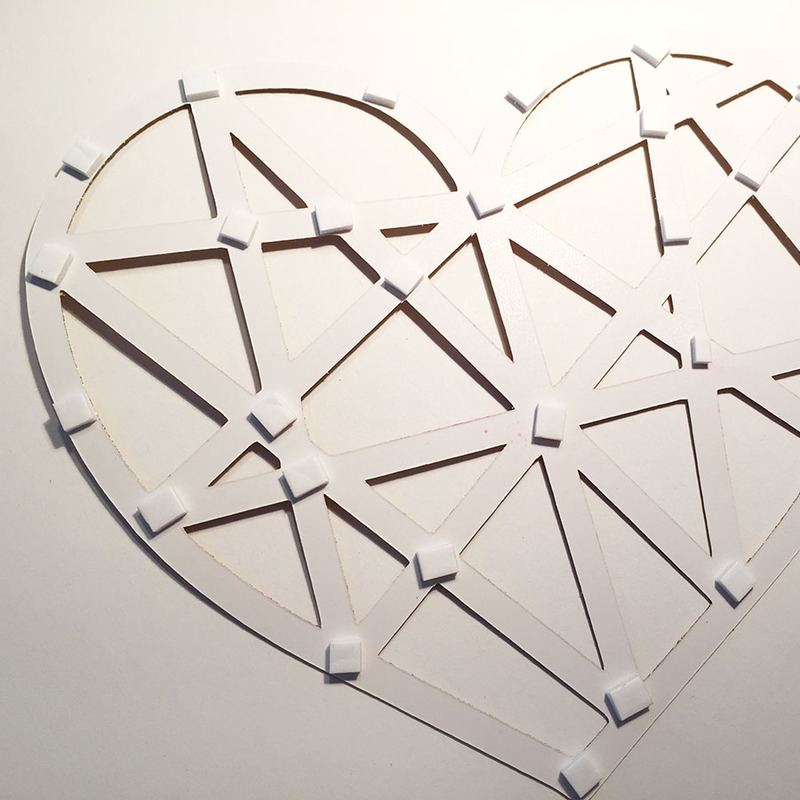 The key to making this heart pop and beat off the page is foam adhesive. DIY instructions below. 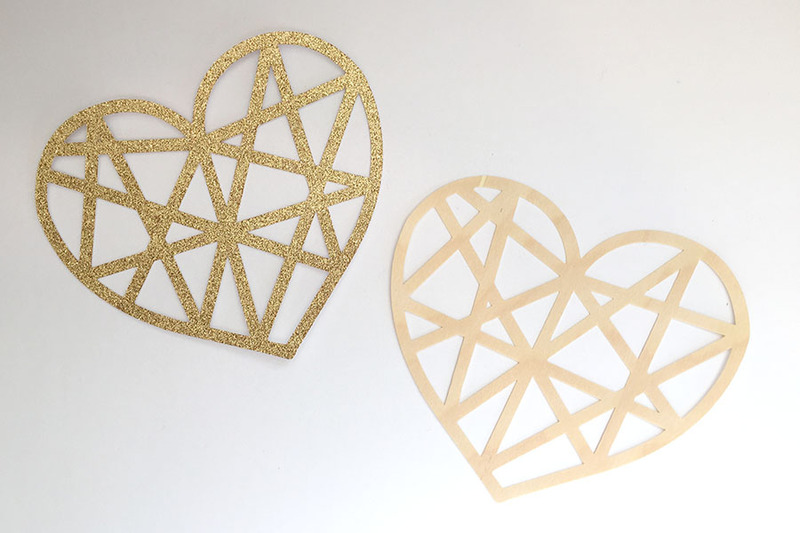 Foam tape is a must have for just about any paper project! 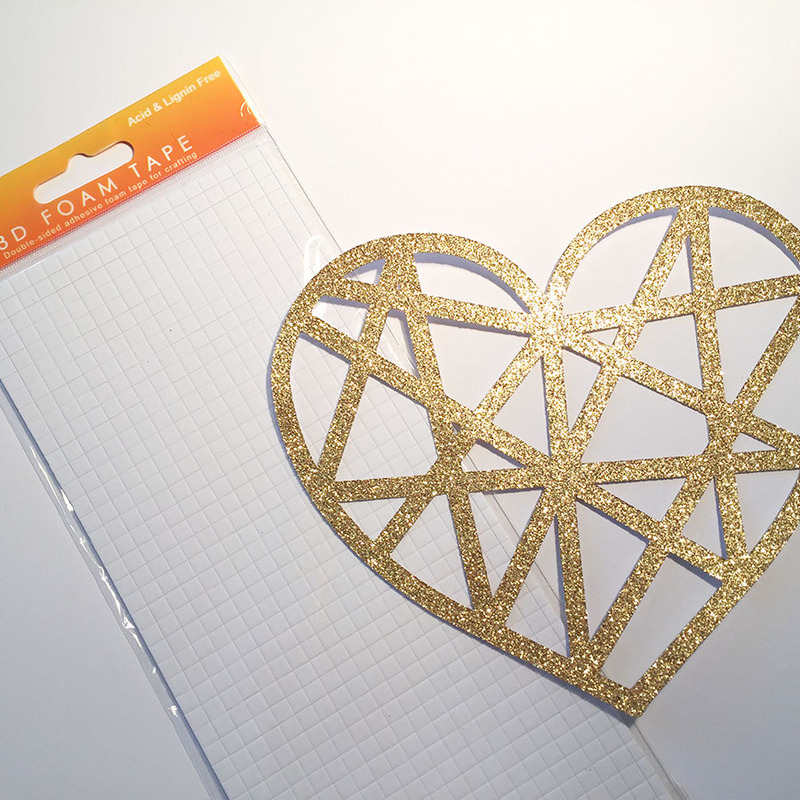 Cut out free download Heart Tangle on an E-Cutter. Weed out negative spaces from Heart. 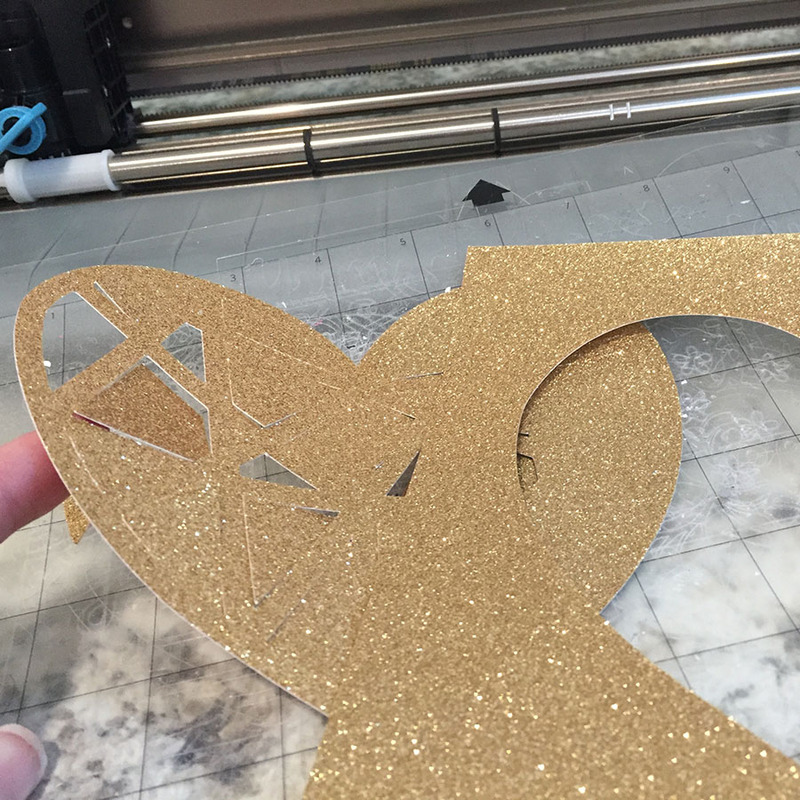 Get foam adhesive. 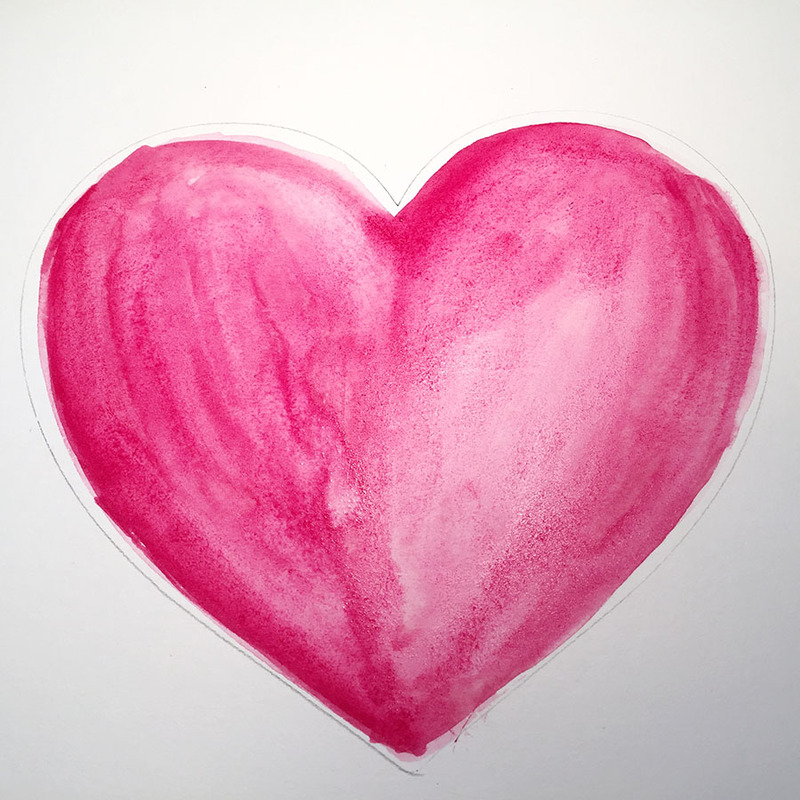 Trace heart shape on watercolor paper and watercolor the heart shape. Apply foam adhesive squares to back of heart. Remove adhesive liner from back of foam adhesive. 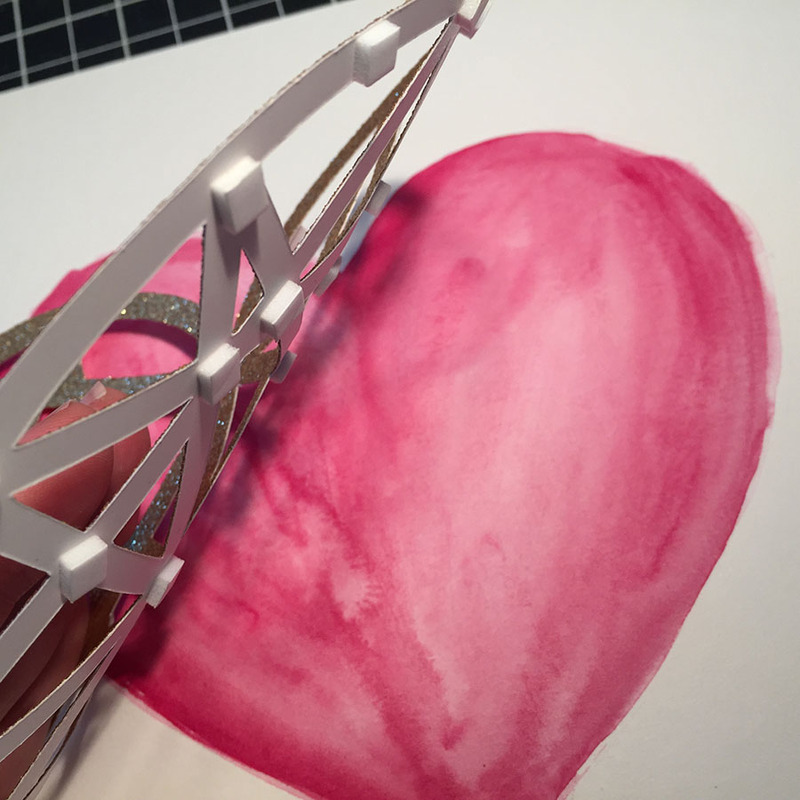 Apply Heart Tangle image to top of watercolored heart. Look from side to be sure every adhesive square is adhered. 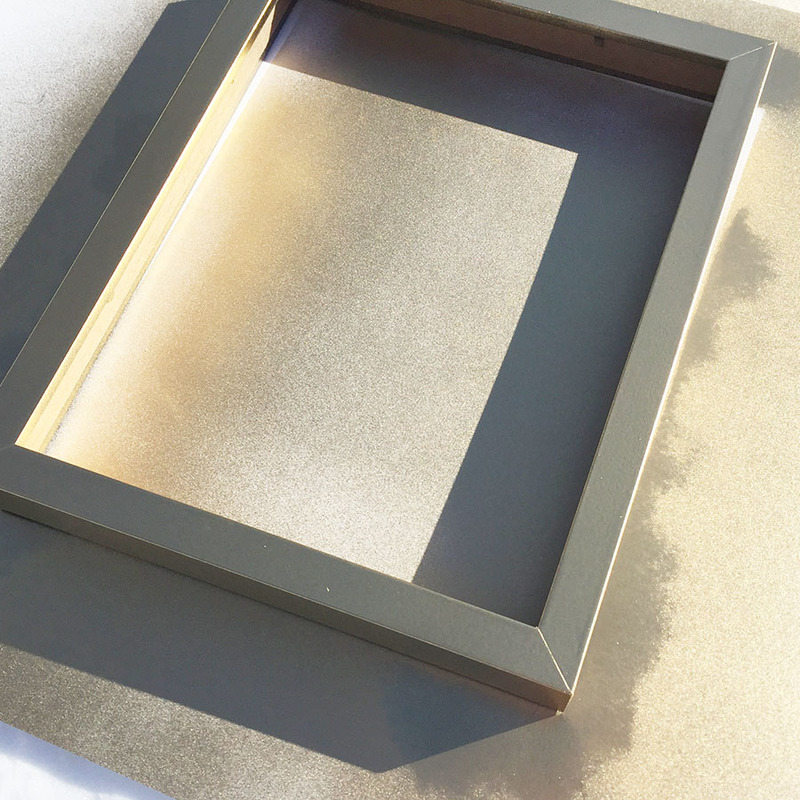 We quickly spray painted an old frame gold to match the gold glitter paper. 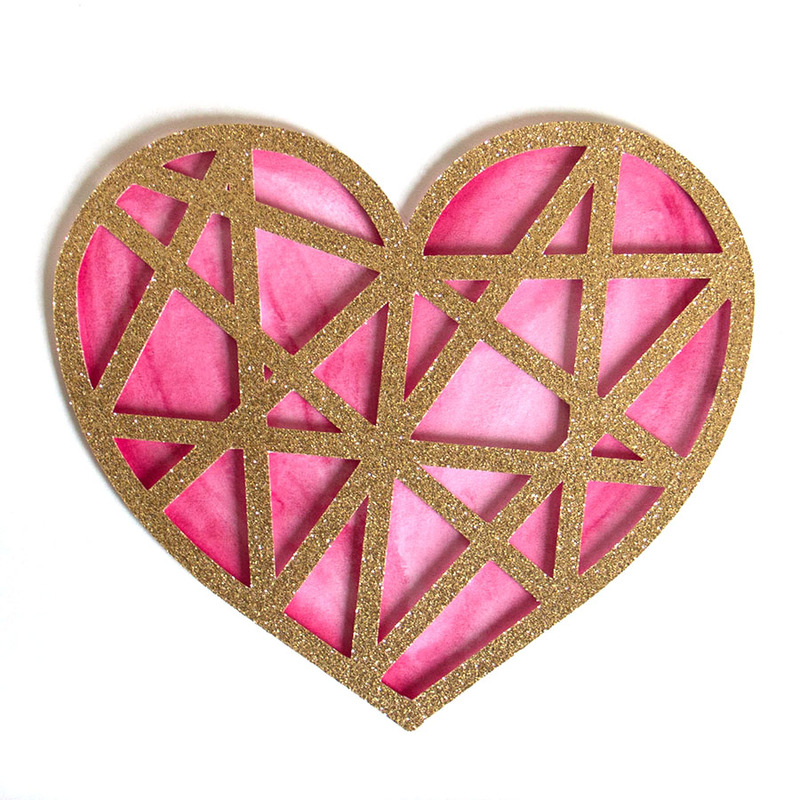 This entry was posted in Crafts & Kits, DIY Projects, Home Decor and tagged foam tape, geometric heart, Glitter card stock, heart art.